If you did not install all of the required plugins after you installed your theme, you'll want to do that now. Here's the link to the Widget Importer and Exporter plugin that's necessary for this step. 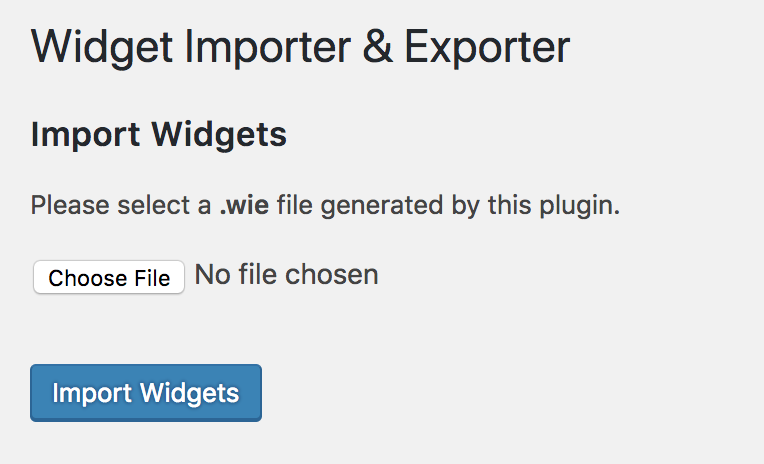 Choose the file you just downloaded, and click "Import Widgets".